I would love to eventually hold cooking classes for kids where we can develop their current love for the passion of food. There are so many ways to go in this beautiful culinary world, food writing/blogging, photography, show producer, influencer etc. I would love to inspire more kids into cooking. I had the pleasure of interviewing Chef Kelvin Fernandez. 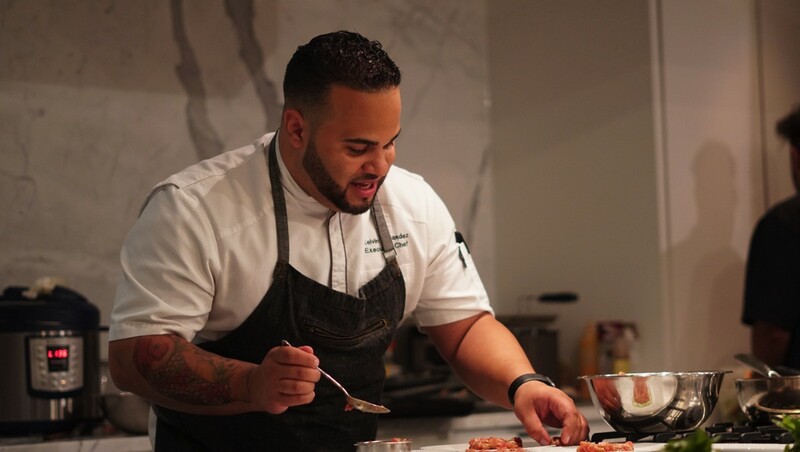 Born in New York to Dominican parents, Kelvin Fernandez never dreamed as a kid he’d be a chef. In fact, he never showed interest in food — despite the fact that his dad was a chef — until he enrolled in a high school cooking class in order to impress his high school sweetheart. 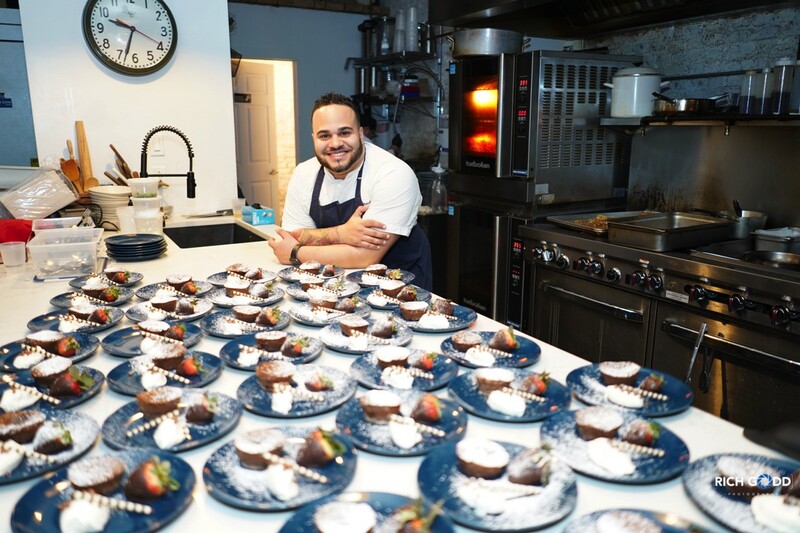 That class ignited a passion for all things culinary and now at age 33, Fernandez has made a name for himself as the youngest executive chef ever on New York City’s fine dining scene at the tender age of 22. He was also a runner up on Food Network’s “Chopped”, Winner on FYI Network’s Man vs Child and winner on Food Network’s Beat Bobby Flay Show. Chef Fernandez has been awarded top 30 chefs under 30 years old for food and wine by Forbes Magazine where he also competed for best chef in America and has won 3 years in a row (2016, 2017and 2018.) Despite his success, Chef Kelvin always finds time to help other and volunteers his time with the DREAM Project, a non-profit organization that helps improve the future of children in the Dominican Republic through educational programs. My company is surrounded by many challenges. Every day is a challenge as a leader I have learned its not about the situation is how you handle it. At the end of the day the task has to get done. One of our events while being on premise one of my signature dishes is a crispy arepa is what I am known for. My sous chef forgot to bring them he went out to the store to find anything we could substitute with. I had some extra yuca croquettes with me so I ended up frying them smashing them and using them as a substitute and now we can make yuca arepas as well. One moment I remember very well was when I first started my business I ended up double booking myself for the same day. I was lucky enough one of the clients let me move their event earlier and we successfully pulled off both events back to back. Thankfully that has never happened unintentionally again. My company loves partnering with companies that support an amazing cause like the Dream Project. Anytime we can bring awareness to amazing foundations like this it fills our hearts. I always go back to my old high school to mentor the future culinary stars of the world. Love going to speak to children at schools for career day and judge kids cooking competitions. I think it’s so important to mentor and inspire the next generation. My best story to tell is my sous chef Alejandro Contreras. He was a high school student at long island city high school (where I went as well) was inspired by my hard work ethic and success he worked hard to become apart of my team. He has been working with me for over 7 years and leads my team of cooks. I am very proud of him. I think the generation of kids aren’t learning important things that you have to learn alone like, how to write a check, how to open a bank account, how to save money and how important it is. I was lucky that I went to a high school that offered many extra classes like auto mechanics, culinary, wood and craft shop, music and Art. Give kids the opportunity to find what they love at a young age. Leadership is leading a group of people to accomplish a task. It’s very hard to teach someone to be a leader but I always believe in leading by example. Treat others with respect but pushing them to limits that let them shine. This past weekend I gave my sous chef the opportunity to lead the kitchen for the first time with little observation. Was happy to see him succeed. 1. I wish someone told me how hard real life was going to be once I was on my own. When I was younger, I opened up so many credit cards maxed them all out and ruined my credit for a few years. Grateful to have it where I do today through proper guidance and patience. 3. I wish someone told me to believe in myself a bit more then I did. I was always scared to take chances. Everything had to be a sure thing with me. One of the best things I did was decide that I wanted to be my own boss and start my own business. 4. I wish someone told me how to separate friendships and work relationships. I ended up losing some close friends because they didn’t know how to separate my friendship and kindness and took advantage of me being nice. 5. I wish someone told me how its ok to ask for help and surround yourself with a team that can make you work smarter not harder. I always wanted to do everything. Answer every email, call inquiry. I wanted to do everything that had to do with starting and maintaining my business. I am happy to have an amazing team now make my life so much easier. One quote that I live by is “work for people you aspire to be like, so you can be a sponge and learn everything” I worked for some of the best chefs in NYC and was grateful to develop my style with an influence of each. Work for low caliber chefs and you will become just that. I am on Instagram with the handle ChefKelvin and on Twitter with the same handle, ChefKelvin.